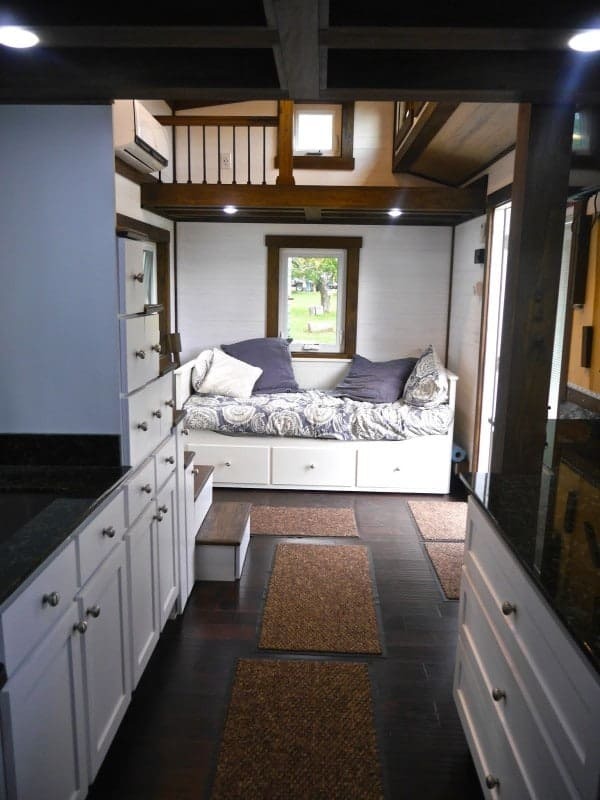 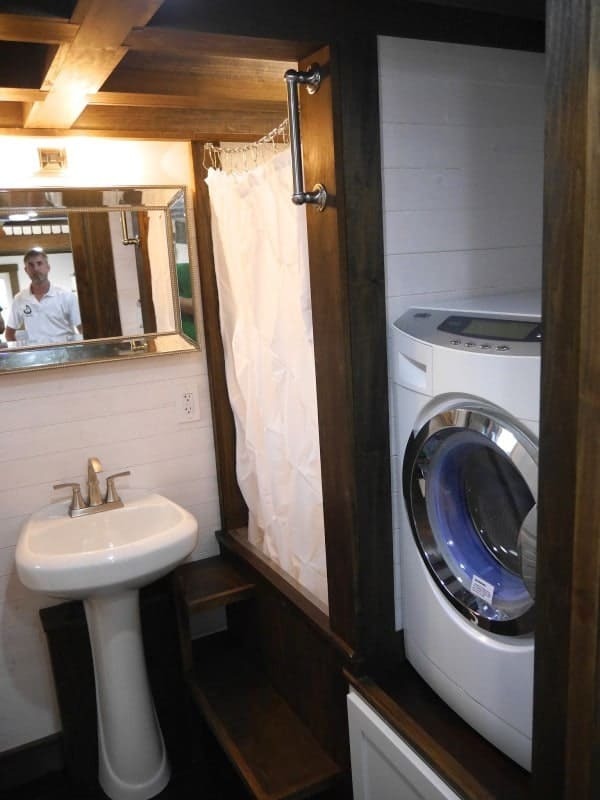 This beautiful example comes to us from Mike Bedsole from Chattanooga Tiny Homes. 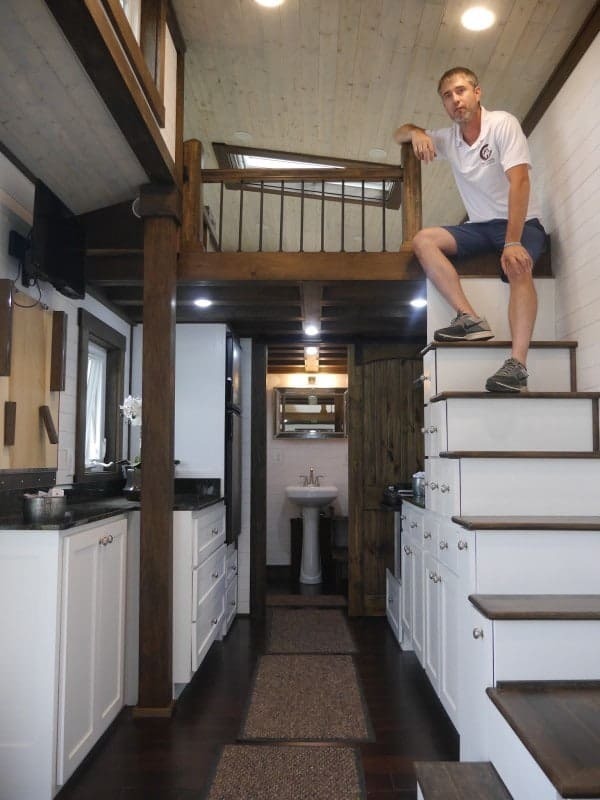 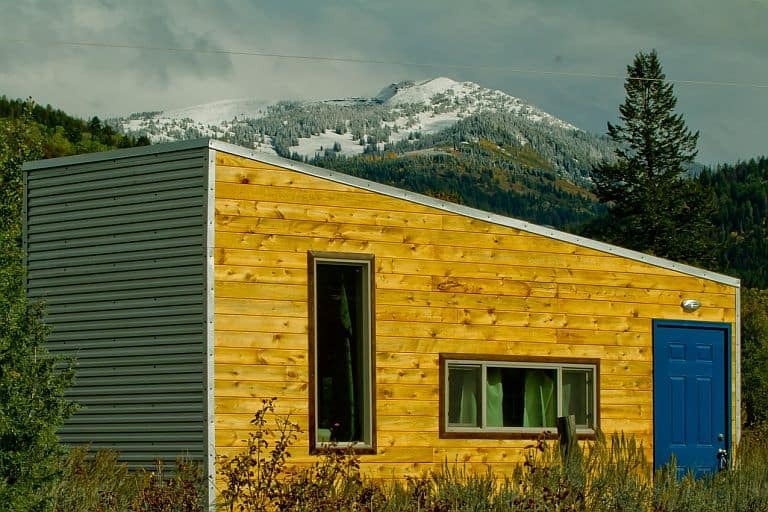 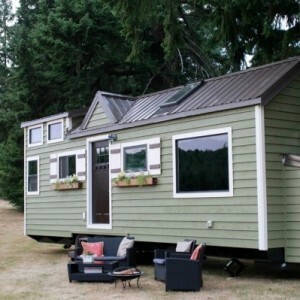 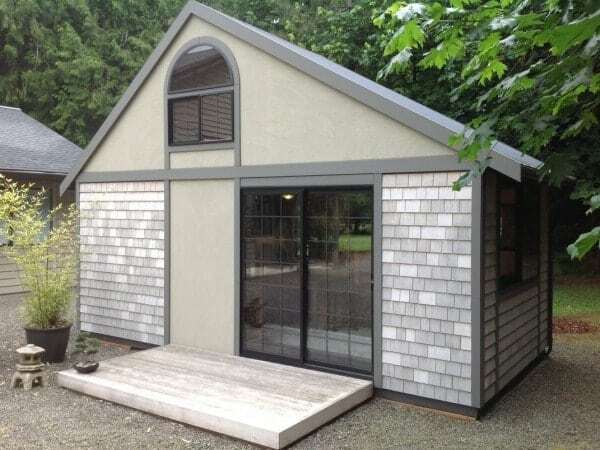 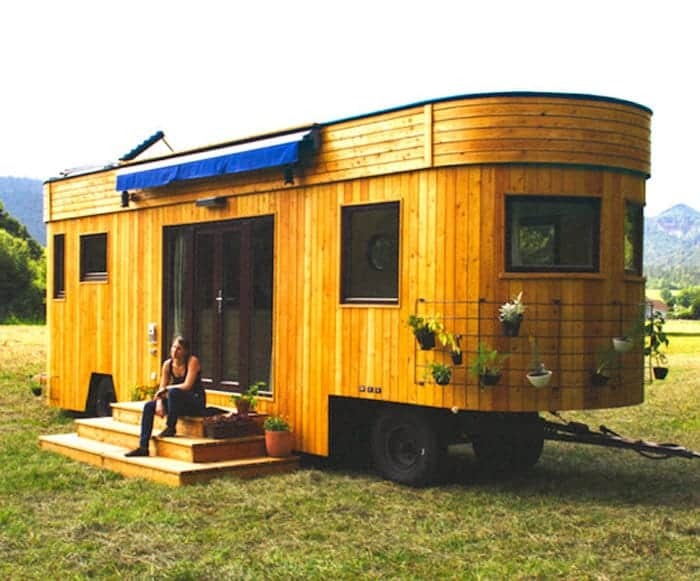 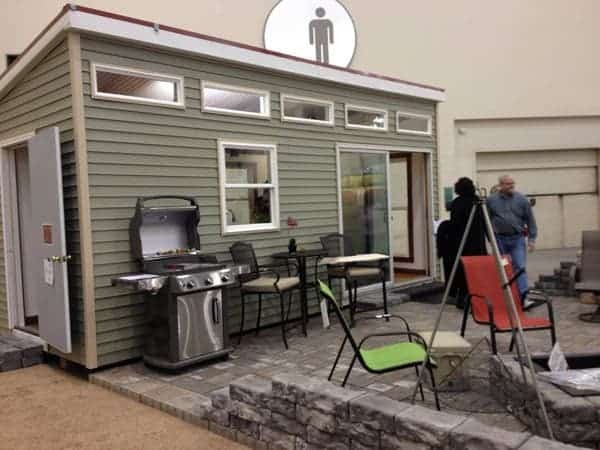 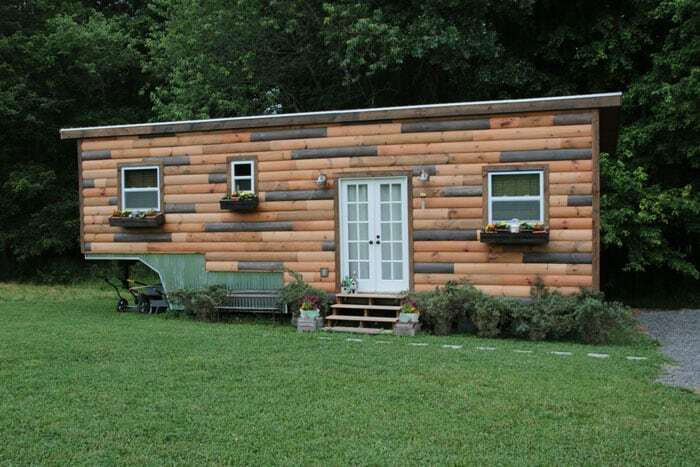 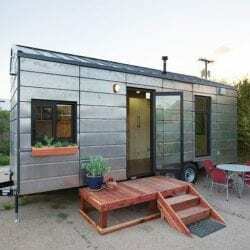 It’s a luxury 24′ home that was previously on display at the Tiny House Jamboree. 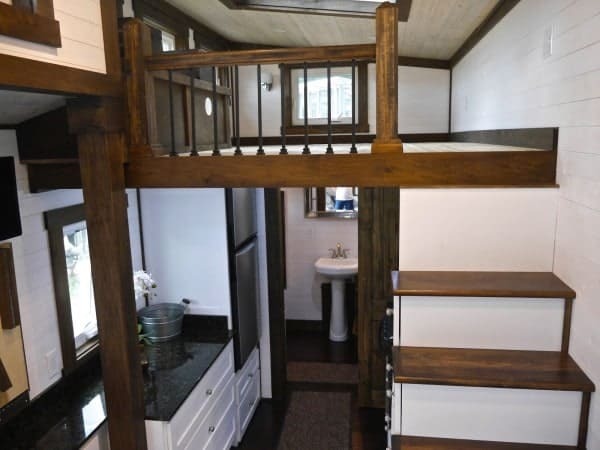 I like that it brings a “big house” feel to the interior design, with the large stairs to the loft, thick exposed beams, and sturdy railings. 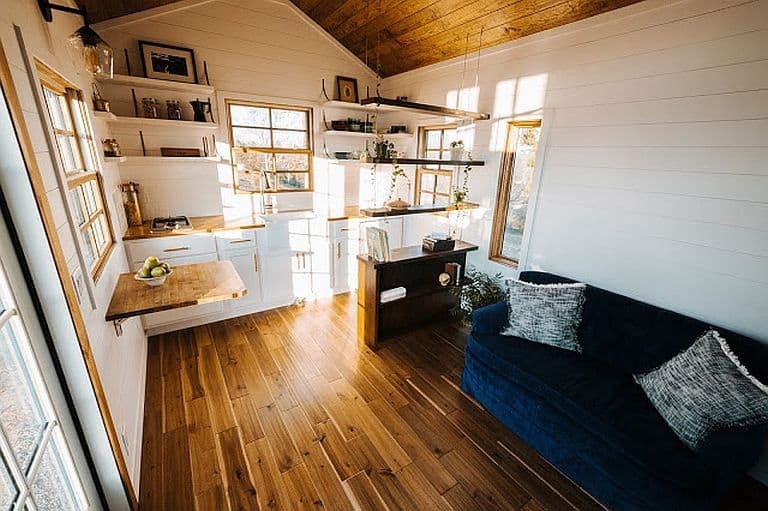 The dark woods look great, and with plenty of clerestory windows you’ll get a ton of natural light spilling into the space. 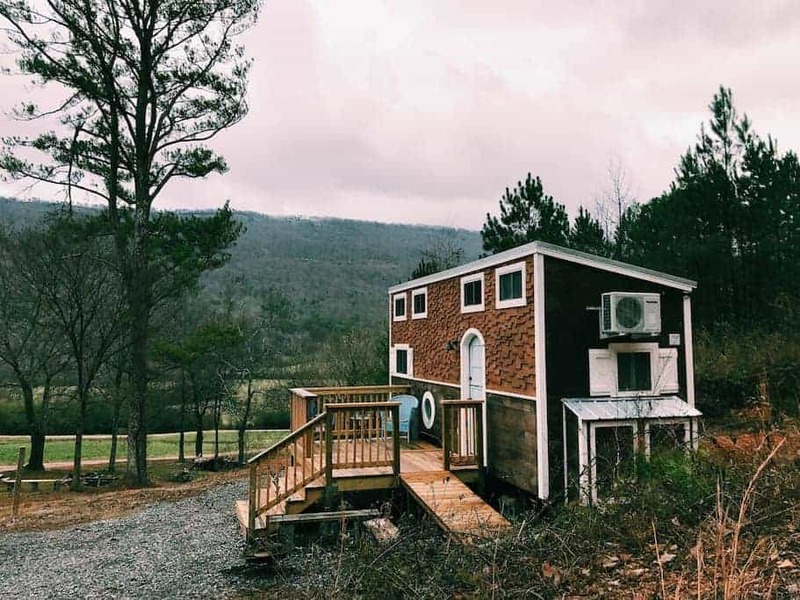 Aside from the obvious attention to detail that went into the finishes, the “Nooga Blue Sky” as it’s called also has another claim to fame – it is the first entirely steel-framed tiny house built in the US. 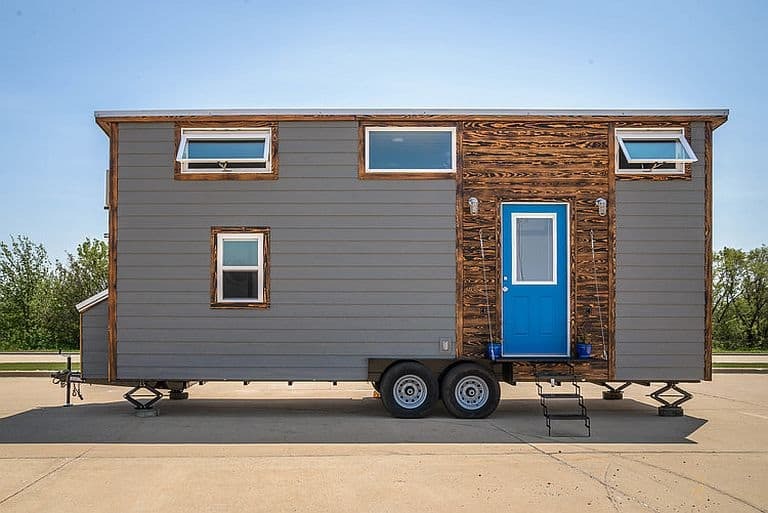 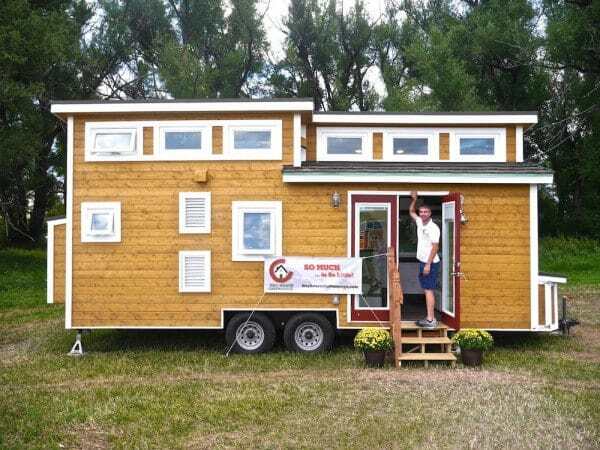 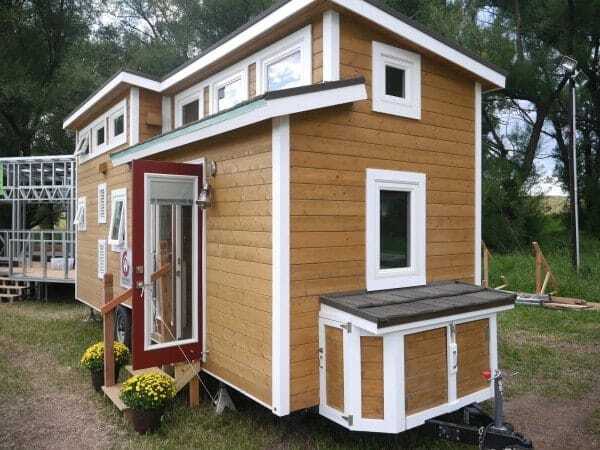 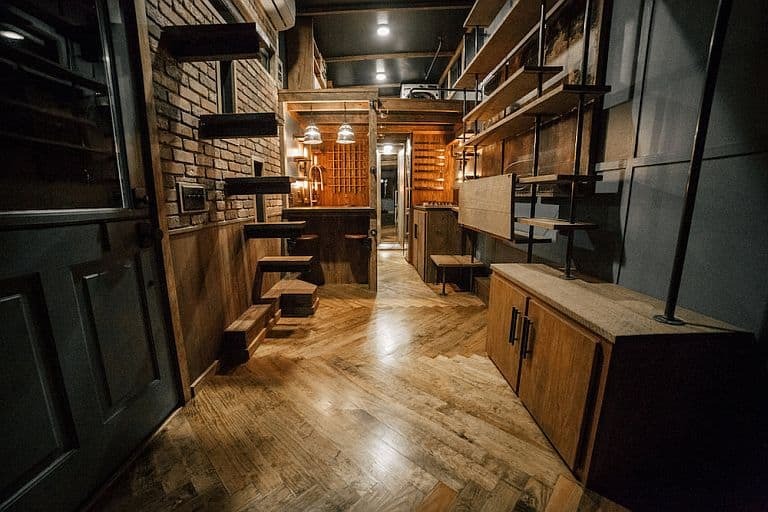 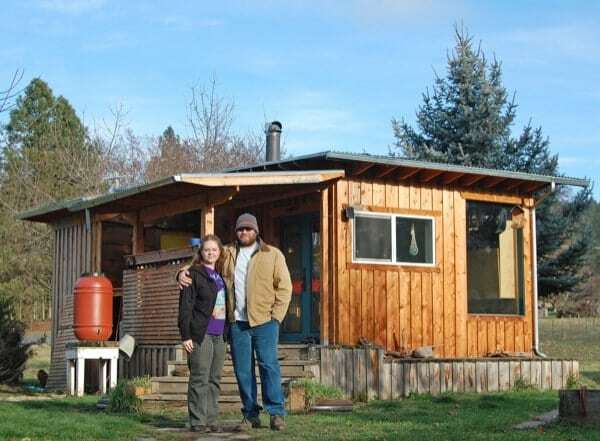 If you want to learn more about this tiny house and see what else the builder is working on, be sure to check out their website.